Working with chemicals can be dangerous, but there are a number of precautions you can take to reduce the risk. 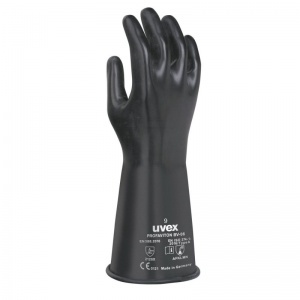 The Uvex Profaviton Butyl Rubber and Viton Chemical Gloves BV-06 are made from butyl rubber and viton for outstanding protection against chemicals. The gloves are also designed to provide additional grip in damp and wet areas. This helps you keep a firm grasp on objects and therefore prevents accidents. The product code for these gloves is 60957. The Uvex Chemical Gloves BV-06 have been tested to EN 388, the European standard for gauging how effectively a glove protects your hands against mechanical risks. Please check the table below to find out the results for these gloves. 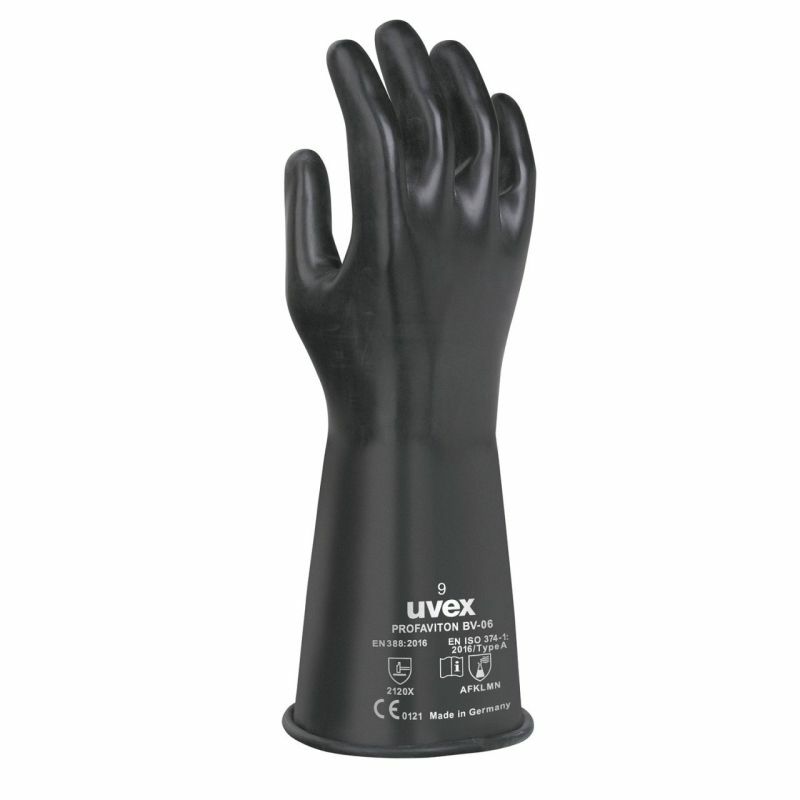 The Uvex Profaviton Chemical Safety Gloves BV-06 are available in three different sizes. Please measure the circumference of your hand around the knuckles (excluding the thumb) with your hand open and your fingers together, then refer to the table below to find out which size will fit your hands best. These gloves are approximately 35cm in length for improved forearm safety.